The USA is off to a good start in the 2018 PyeongChang Winter Olympics. With a total of 7 medals so far, the United States sits in 5th place behind Norway, Canada, Netherlands and Germany. In terms of gold medals, the US is tied with Norway and Canada with 3 golds. 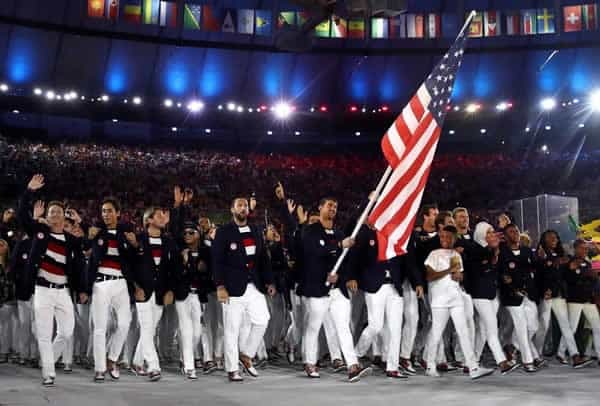 Let’s take a look at the athletes who have won gold for the US so far during the 2018 Olympic games. The first gold medal for the US came as a surprise through 17-year-old Red Gerard in the Men’s Snowboard Slopestyle event. Gerard beat 11 other competitors and was the only US athlete to reach the final. He was in last place at one point but managed to fight his way up heading into his third and final run. His final score was 87.16, which was enough to top Canada’s Max Parrot. Hailing from Silverthorne, Colorado, Gerard wasn’t even thinking about the Olympics as of last year. Now, he is one of the youngest to ever win gold for the country. Our second gold medal came in Women’s Snowboard Slopestlye thanks to Jamie Anderson. The 27-year-old California native scored an 83.00 in her first run. Interestingly enough, Anderson won gold in the 2014 Winter Olympics with the same score. The event has 2 runs, though this year’s featured a 75-minute weather delay due to high winds. Anderson successfully landed a backside 540 on her first run and a frontside 720 on the second. She beat out Canada’s Laurie Blouin by almost 6 points. Anderson completed the tough task of defending her title, though she did it with style. The third Olympic gold came through another young athlete, 17-year-old Chloe Kim. Kim clinched gold in the Women’s Halfpipe Snowboard competition with 2 incredible runs. Her first run was scored 93.75, and although that looks difficult to top on paper, Kim’s nearly perfect third run was a 98.25. Kim is no stranger to winning. The promising young athlete has multiple X Games gold medals, multiple World Snowboard Tour titles and golds in slopestyle and halfpipe in the 2016 Winter Youth Olympics. She would’ve loved to compete in the 2014 Winter Olympics, but was unfortunately ineligible due to her age. She kept her composure during the run, even tweeting out complaints she didn’t finish her breakfast sandwich during the competition. It is no wonder she is so confident with all her experience at the highest level. She landed 2 1080s, which means 3 full rotations, to seal gold for Team USA. The USA’s 100th Winter Olympics gold medal couldn’t have gone to someone more deserving. Shaun White won his third gold medal in Men’s Snowboard Halfpipe. White had one of the best runs of his career for his third, scoring 97.75. This score put him atop the leaderboard and on his way to becoming the first person to score 3 gold medals in this event. White was injured in a training session in 2017, so this victory completes his comeback story. If you’re following along with 2018 Winter Olympics betting, you’ll see there have been some surprises, like Gerard, and cases where the best projected athlete won out, i.e. Anderson and Kim. Keep an eye on Team USA as the tournament continues, as there are still several notable athletes yet to compete.